Number of the Day: The Watch Watch. Because of a light posting schedule, I'm resurrecting Number of the Day. Once upon a time political analysts would study parade review stand photos of Soviet leaders to figure out who was in power and who had been ousted. Now they just look to see who’s wearing the most expensive watch. From totalitarian gerontocracy to a kleptocracy in nothing flat. Keep a close eye on China. The winner? A "GreubelForsey Double Tourbillon 30° that costs either $360,000 (for the white gold edition) or $425,000 for the platinum edition." Number of the Day: Oil and Gas Leases. Last December, the Bureau of Land Management tried to sell some scenic Utah public lands for oil and gas drilling, but the high bidder had no intention of paying, throwing the whole process into chaos. Some of the lands were in close proximity to Arches and Canyonlands national parks, Dinosaur National Monument and Nine Mile Canyon. In February, Interior Secretary Ken Salazar canceled the sale, saying the auction was the result of "midnight actions" by the Bush administration. This week, a new auction resulted in the sale of drilling rights for 55 parcels covering about 76,000 acres — about half of the land offered in the new sale. When you hear about oil companies buying up oil and gas leases and wonder why they don't rush to actually develop them, consider this: The average price for the latest sale was $8.52 per acre. Number of the Day: Almost. One of the things I'm doing on this trip to Colorado is researching suicides in the Colorado National Monument. When I arrived in town yesterday, the main story was about a man who drove off a cliff in the Colorado National Monument. His van caught a rock ledge 120 feet below the edge, which kept it from falling another 180 feet to the bottom of a canyon, which would've meant certain death. This is the paranoid fear of flatlanders driving the road, but authorities believe the driver went over the cliff intentionally. Still, he was grateful to be saved. It's a point often lost when gun proponents tangle with suicide prevention advocates and say, "if they didn't have guns, they'd just find another way." But this man stayed in the van and called 911. Many attempts are the result of transient impulses. A suicide method that is ineffective or takes too long to carry out may result in a victim like this one, thanking his rescuers. Guns don't leave the same margin for second acts. Daily Sentinel photo. More here. Number of the Day: Lifespan. I just saw an infographic on how much of millionaires said they had lost of their net worth since last September. I got a couple year end reports for smaller retirement funds in the mail today, so what the hey. I've been sending them straight to recycling, but I decided to take a peek. Eeek. Quick calculation — minus 42 percent on the year. On that fun note, I surfed over to the work of this conceptual artist who has stacked 972 30-kg bags of sand on pallets. Each bag represents 30 daysworth of sand flowing through an hourglass. The sand would last for 81 years. I don't know what will run out first — my money or my sand. Number of the Day: Pledge! What Pledge? A Johns Hopkins Study of youth abstinence programs found no significant difference in sexual activity between matched participants and non-participants — including the number of partners, incidence of sexually transmitted diseases or the age at which the teen lost his or her virginity. It also found that teens who had taken a virginity pledge were less likely to use condoms or other birth control. Five years after taking an abstinence pledge, 82% of pledgers denied having ever made such a pledge. Number of the Day: Mine's Bigger Than His. According to ShowBoats International, a luxury yacht magazine, 916 yachts measuring 80 feet or longer — the traditional definition of a superyacht — were on order or under construction as of last Sept. 1, four times the number in 1997. The biggest gains were among the biggest yachts: 47 yachts were 200 to 249 feet long, up 68 percent from a year earlier, while 23 were 250 feet or longer, an increase of 28 percent. The superest of superyachts so far is 525 feet long, but a 531.5-foot behemoth is in the works. The article estimates a current cost of $650 million for a 500-footer. You could rent, of course, for upwards of $555,000 a week for a really trendy supersclipper. But the former boss of Avis could put you in his sloop for around 350 large. An industry expert says there are already 2,000 superyachts over 120 feet long, with nearly 200,000 people who could afford to buy them. He seems to think this is a good sign. 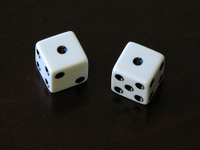 Number of the Day: Snake Eyes. The fact that we have not been attacked over the past six and a half years is not a matter of chance. 4,460 American military killed in Iraq and Afghanistan. 29,230 officially wounded. 70,000 veterans of the conflict treated for hearing loss and 58,000 on disability. Veterans Affairs predicts it will treat 330,000 veterans from Iraq and Afghanistan in 2009 — a 14 percent increase over the 2008 estimate of 263,000 — at a cost of nearly $1.3 billion. Number of the Day: You Raise, I Fold. Lottery ticket sales in Minnesota fell 17 percent in January — to $34 million from $41 million a year ago. Lottery officials said ticket sales do cycle with the economy, but also Powerball jackpots in January weren't has high as a year ago. Another contributing factor could be that most lottery ticket sales are made at gas station convenience stores. Higher gas prices might be making consumers feel less like dropping a few more bucks on the counter. Now I'm waiting for the new talking point: Gas tax increase will lower state lottery revenues. Number of the Day: Losing Interest in Roads. We hear about how Minnesota can't afford to pay more in gas taxes because, well, that would be more taxes and we can't afford 'em. So we should re-prioritize spending if we want better roads and bridges. You know, get rid of those expensive bike paths and rural vo-tech centers, and if that isn't enough, kick some people off welfare, and if that still isn't enough we can borrow more. After all, we defend freedom that way; why can't we build roads on credit? Since 2000, we have been. But not enough to keep up with increasing inflation, more miles driven, and deferred maintenance on roads and bridges getting greater wear and tear. As a result of all these factors, we're only about $14 billion short of where we would be if we maintained 1986 funding levels over the last 20 years. You can read about it all here [20yearsbehind.pdf] or here [Legislativeauditor.pdf or simply trust me. 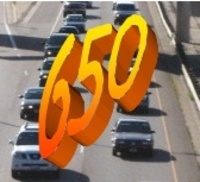 Over the past five years, the amount of interest on trunk highway bonds has increased by 650 percent and paying for that interest has squeezed MnDOT’s budget to the point of breaking.